Health is an important component to life, and Anil feels privileged to play a small role in that. Because good health can’t wait, Anil is passionate about taking on the difficult challenges across the spectrum of product development and commercialization to enable a better life for people with pressing medical needs. 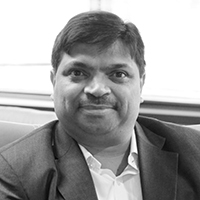 Anil leads strategy and execution of Promius Pharma’s clinical development stage pipeline as well as commercial operations for marketed products. Anil received his Ph.D. in Physiology and Molecular Biophysics from the University of Texas. He started his career as a management consultant with Booz & Co where he served clients on several high level business critical issues within financial services and healthcare. Prior to Promius Pharma, he spent a number of years at Abbott Laboratories (AbbVie) and Bristol-Myers Squibb in various roles of increasing responsibility, including strategic planning and marketing. Pursuing medicine and then clinical research was a decision that Sagar came to from a combination of family influence and professional development. This is the area that drew him to his passion for intellectual development and human compassion. 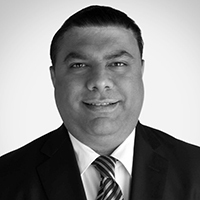 Sagar joined Proprietary Products in 2012 as medical director and since then, has had increasing responsibilities. He has been instrumental in developing the neurology clinical pipeline. Prior to joining Promius Pharma, he worked at Johnson and Johnson, Altria and as sub-investigator in a research clinic. Sagar got his medical degree in India, and master’s degree in clinical research and biostatistics from Virginia Commonwealth University. Having had 15 years of experience in clinical development, Sagar has and continues to make significant contributions to the clinical research field. Sagar received the prestigious Harold G. Wolff award by the American Headache Society at the 59th annual conference in Boston. This award is given for the best scientific paper on headache, head and face pain, and the nature of pain itself. Additionally, Sagar has been selected for various podium and platform presentations at AHS, AAN and EHTMC. Sagar continues to eagerly work to identify unmet needs and offer solutions to patients worldwide. Healthcare is in Dushyanth’s blood. Growing up in a family of physicians, he has been inspired by healers and caregivers his entire life. At Promius Pharma, Dushyanth is grateful to have the opportunity to give back to those who’ve helped mold him into the person he is today—providing physicians with innovative solutions that help them improve the lives of others. Dushyanth serves as our Sales and Marketing Head. Prior to his current role, Dushyanth served as Corporate Development Head for the Proprietary Products Group of Dr. Reddy’s Laboratories. He also was the Acute Care Portfolio Head for Proprietary Products. 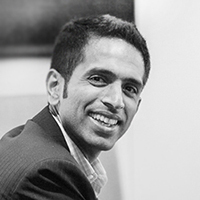 Dushyanth holds an MBA from Harvard Business School and a BA in Religion from Wabash College. Prior to joining Dr. Reddy’s, Dushyanth held various corporate finance and strategic marketing roles at Eli Lilly and Company and Medtronic, Inc.
Stephen’s people-first, customer-focused attitude comes from his early days waiting tables. His career has taken him all over the world, but at Promius Pharma he feels right at home with a company that truly values putting people first. Stephen is responsible for not just finding potential team members with the “special sauce,” but also informing and shaping executive strategy concerning leadership, organizational change, talent development, and effectively managing people. He also plays a key role in shaping the “uncorporate” culture of Promius Pharma. After graduating from Drew University, Stephen received his Masters degree from Rutgers University, and his Doctorate of Law from Whittier College. 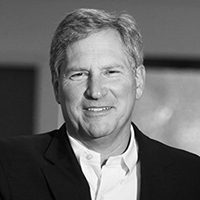 In addition to decades of HR and legal experience, Stephen has twice received the American Jurisprudence Award for Legal Research and Writing and is the author of several labor and employment articles. He is a former adjunct faculty member of Cornell University, School of Industrial and Labor Relations and continues to lecture to various organizations on labor, employment law, and human resources. When he’s not working, Ramesh stays active to ensure a sound mind and a sound body. When he is at work, Ramesh feels fortunate and right at home as part of a company that also places so much value on the mental and physical well-being of all people. At Promius Pharma, Ramesh leads the finance functions, and has been instrumental in providing finance leadership support to research and development and commercial operations for the company. 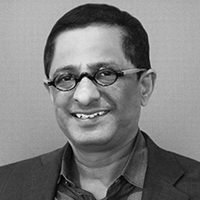 Ramesh plays a key role in ensuring that the company reaches its short- and long-term financial goals. Ramesh is qualified Chartered Accountant, he has also studied Advanced Management Program from Indian Institute of Management in Bangalore. In addition to his time at Promius, Ramesh has over 20 years of experience and mostly in the life sciences and Pharma industry, having spent time at Aurigene Discovery Technologies Ltd, ReaMetrix Pvt Ltd, and Ansell Healthcare. He has a unique blend of managing finance functions for life sciences startups and established corporates.